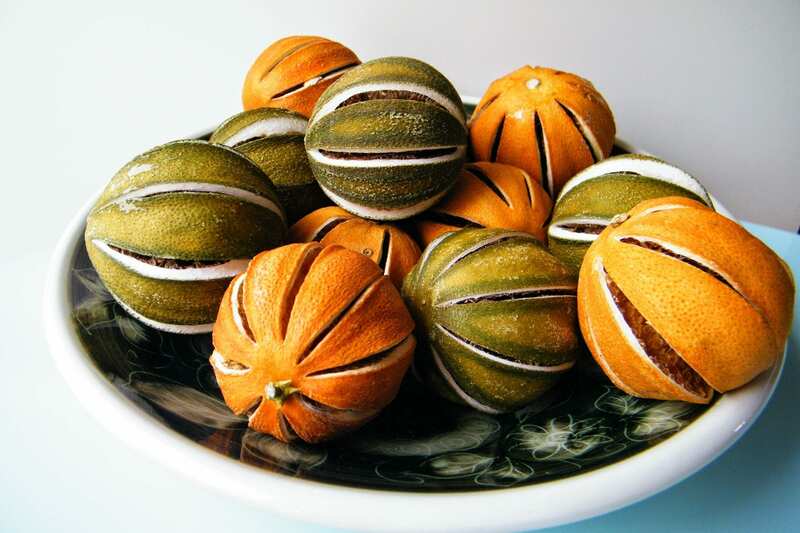 In our workshop, we make a traditional orange and cinnamon potpourri by hand. We make a few kilos at a time as required, so it is always fresh. It is a simple recipe, so why not make your own? 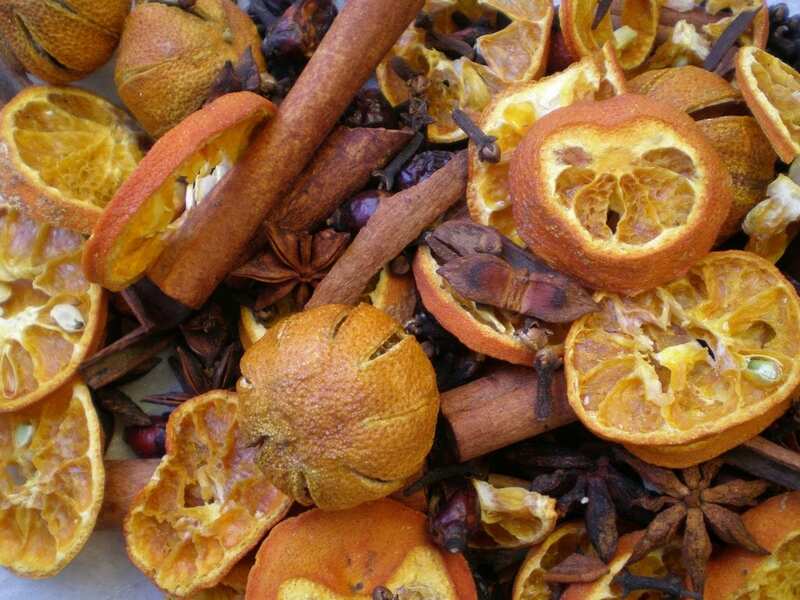 Our Christmas potpourri recipe is a chunky mix of cinnamon sticks and dried oranges, with plenty of Christmas spices thrown in. Place all the ingredients in a thick plastic bag or tupperware box and shake with a few drops of fragrance oil. Leave to permeate for a few hours before using. This should be enough for one large bowl or a few small ones. 5 drops of an orange fragrance oil such as Satsuma and Walnut. This recipe really is very flexible – just leave out anything you don’t have or try adding: dried chillies – pine cones – nutmegs – bay leaves – cedar roses – scented wooden balls – other Christmas fragrance oils. For a simple lavender potpourri with a Christmas twist, why not layer cloves, star anise, and dried flowers such as dried lavender and dried red rose buds carefully in a glass jar or vase. This gives a pretty visual effect as well as a festive spicy fragrance. Add a couple of drops of your favourite Christmas fragrance oil (optional). For a similar Christmas potpourri recipe in more detail – see my recent post winter rose potpourri. These dried oranges have such a lovely marmalade aroma, that they would do very well as a modern twist on potpourri in their own right. Just refresh with citrus fragrance oil as required. Follow the links above for the cinnamon sticks, dried orange and other ingredients you need to make this potpourri. If you don’t fancy making your own Christmas potpourri, you could cheat and buy it – made by us! Our own Christmas potpourri, hand packed in a clear cellophane bag.